Home / Games / Angry Birds Go! : Kart racing, Angry-style! Summary about Angry Birds Go! Angry Birds Go! 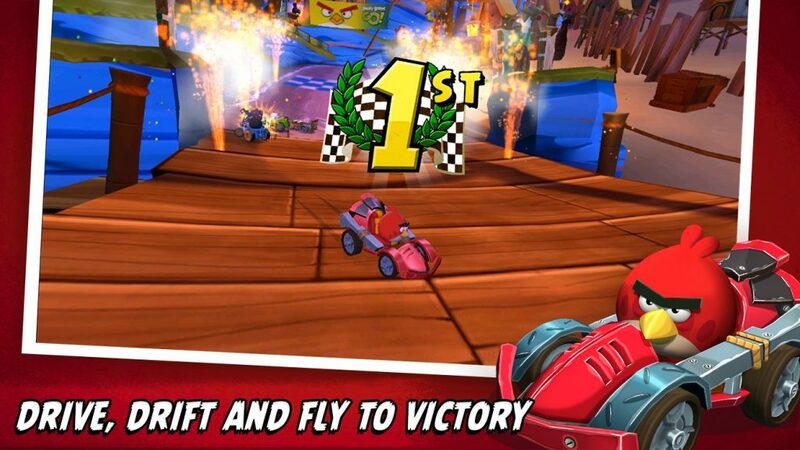 is a racing game produced by Rovio publisher and inspired by Mario Kart. Referring to Angry Birds, we all know that this is the famous series of slingshot shooting games that have become the brand of Rovio. They used images of these birds to produce different titles with various genres such as Angry Birds (slingshot shooting), Angry Birds Match and Angry Birds Blast Island (match-3 puzzle game). .. 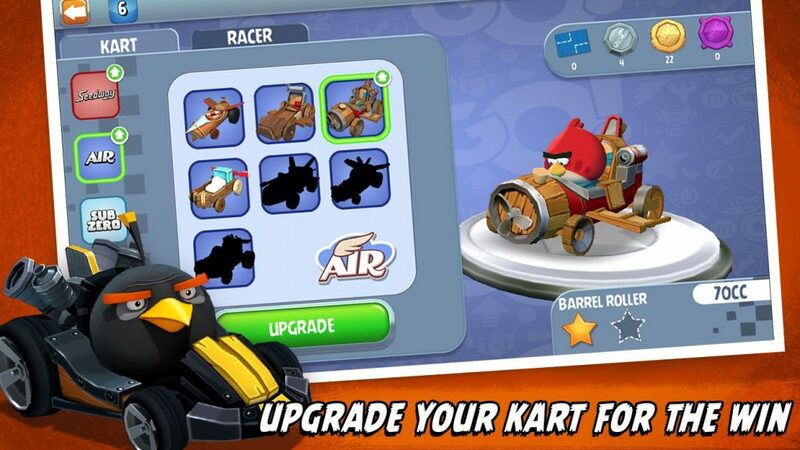 But this is the first time, Angry Birds appeared in a racing game. This really makes me very excited. If the original Angry Birds series is a battle that does not end between angry birds and ugly pigs, it seems the story has become more peaceful in this game. They all get along, joining the biggest racing tournament on Piggy Island to find the champion. From the beginning, it is undeniable that these races are fun and addictive. The gameplay of the game is very simple. Use the arrow keys or tilt the screen to control the vehicle you want. You can use the accelerator once for free, the next time you need to pay with gems every time you use. This way of playing reminds me of old Nintendo games. There is no brake button like the Asphalt, you need to keep your balance by feeling the speed and gravity in the game. Always be alert when playing Angry Birds Go!. Your opponents can overcome at any time and use a number of “cheating” ways to overcome you. 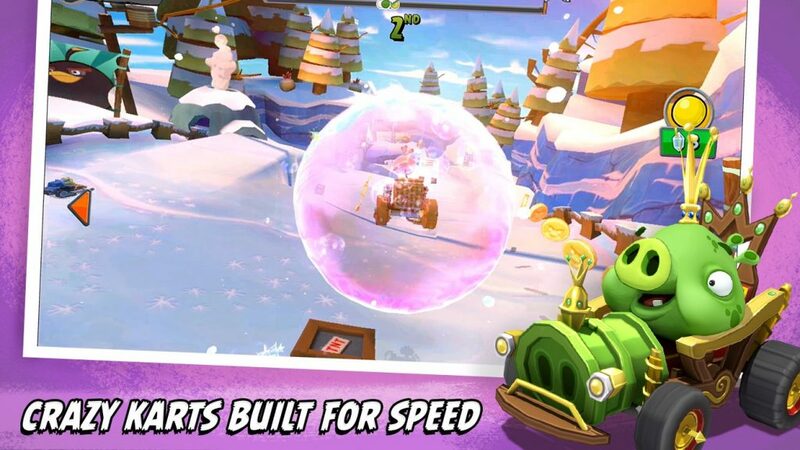 The terrain of the game is relatively bumpy, it often makes you lose control when driving at high speed, which leads to mistakes. Not only that, the game designed a lot of power-ups that could lead the leader to fall behind and help the riders in the back have a chance to rise. These factors make the game more attractive and unpredictable. Not only is become the 1st, but some levels also offer a number of requirements such as collecting enough fruit, completing the race within the time limit, … In each case, you should use the right power-up to help you pass the level more easily. Each level has interesting things await you, so don’t waste your gems on skipping levels. If you’re a fan of Angry Birds, you’ll be excited to see all the original Angry Birds characters again. Start the game with a red bird, then you can buy any character you like with the money earned. Each character has a special power that can help you knock your opponent off the track. Of course. The car upgrade system of this game is like Subway Surfers. There are 4 indicators you can upgrade including Top Speed (Speed), Acceleration (Acceleration), Handling (processing ability), Strength (strength). In my opinion, you should upgrade up to two top speed and Acceleration indicators first instead of wasting your money to upgrade all 4 stats. In Angry Birds Go! MOD, we provide you with an infinite amount of money so that you can upgrade to the maximum of stats and buy any car or character you want. The displayed amount is 0 but you can still shop unlimitedly. Gems automatically increase during use. When the game displays a notice of insufficient gems, click “OK”. Angry Birds Go! allows players to download and play completely free. There is no locked story or limited features, but the game has one of the most obnoxious features: an energy system that limits the number of times played. Each time you play, you have deducted one energy regardless of whether you win or lose. After the maximum amount of energy is exhausted, you must wait for it to recover (10 minutes / 1 energy) if you don’t want to use the money to buy energy. With the premium business model, the game constantly encourages you to buy in-game items. Besides, advertising also appears quite a lot during your playing. Although it offers some benefits such as unlocking the Goldfish biscuit engine in-game, this still makes the majority of players feel quite uncomfortable. The game has stunning 3D graphics and sharp images. Graphic style reminds me of Beach Buggy Racing. The characters are designed to be quite funny with round bodies and without limbs, I don’t know how they drive. 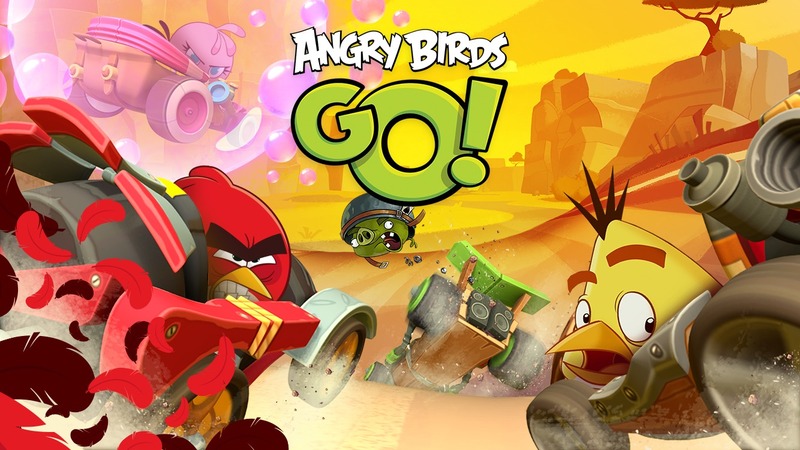 Overall, Angry Birds Go! still is an addictive racing game and there are many interesting things for players to explore. Although the premium business model made me feel quite uncomfortable, I still didn’t give up the habit of playing this game whenever I was free. Angry Birds Go! MOD APK is ready to download! 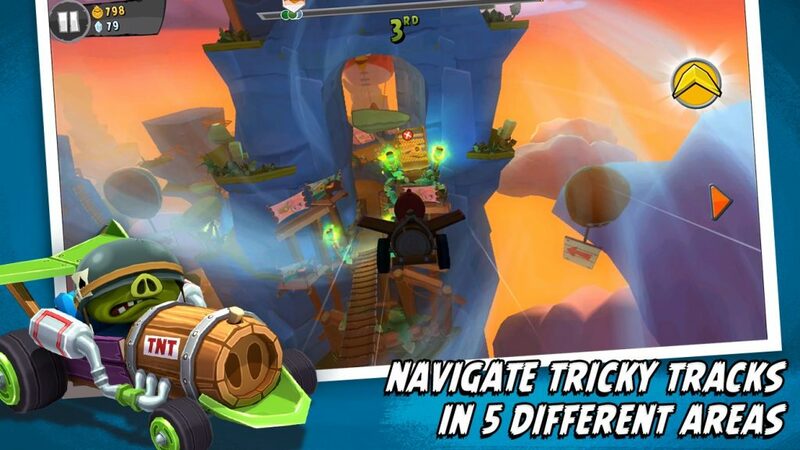 Depending on your needs, you can download Angry Birds Go! MOD APK or Angry Birds Go! Original APK. Or install from Google Play / App Store if you want.